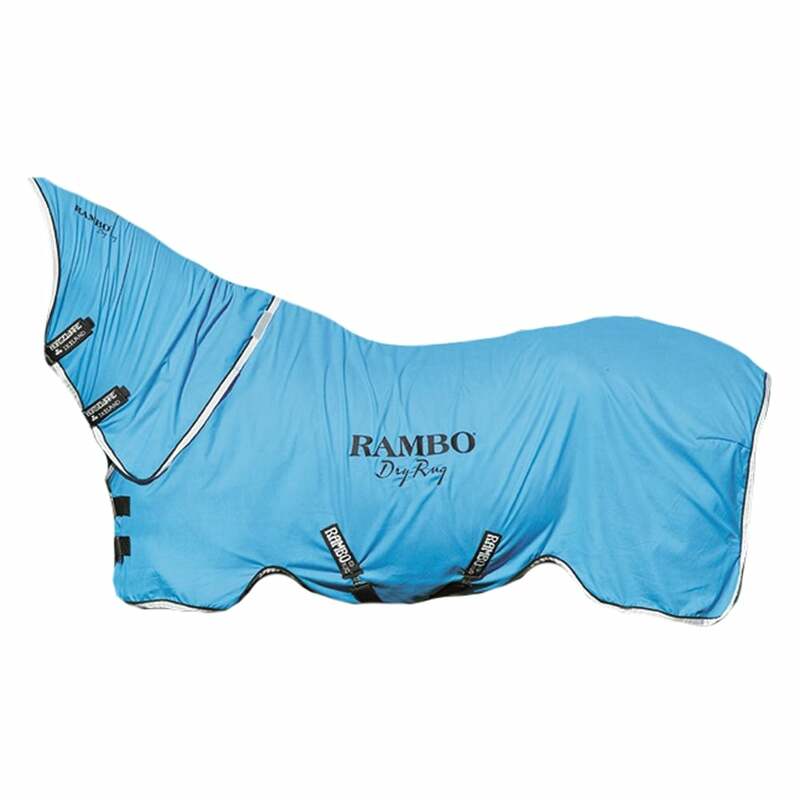 The Rambo Dry Rug Supreme is made from a lightweight polar fleece that is highly absorbant and fast drying. With a smart hide-away hood, this quick dry rug dries your horse and prevents your stable rugs becoming damp and wet, absorbing moisture to leave a high gloss and smooth finish. Features include elasticated cross surcingles and an adjustable multi-fit front closure ensuring a close contact fit, a must have for busy yards.